One of our go-to sources for all sorts of jewelry is Pancake Meow. Not only are the designs clever and adorable--they offer charms shaped in a variety of styles, from cupcakes to waffles complete with dollop of butter, to chocolate chip cookies--oh, and did we mention they're scented?! 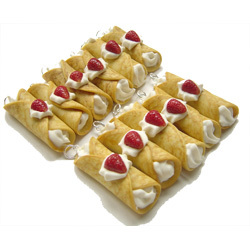 We are loving the brand-new strawberry crepes (photo left). Order early though; each piece is made to order. What can we say, good things come to those who wait. 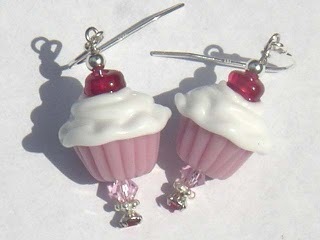 Most charms are in the range of $20 and up; available online at pancakemeow.com. Bonus: Love smelling like your favorite baked good? 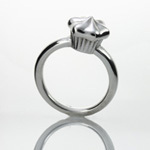 Well, thanks to EB of SpiceDish, we now know that you can get Yummy Cupcake perfume for just $20 at Torrid stores. For locations, check out torrid.com. 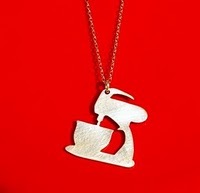 If you're among those who say that pie is the new cake, be sure to check out this adorable pendant by Kieutiepie. 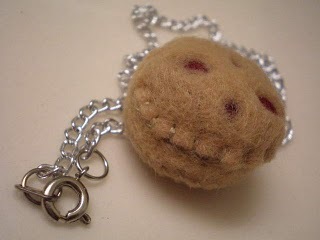 We love the handmade, charming feel of the felted necklace, which looks as cozy as a pie just out of the oven. 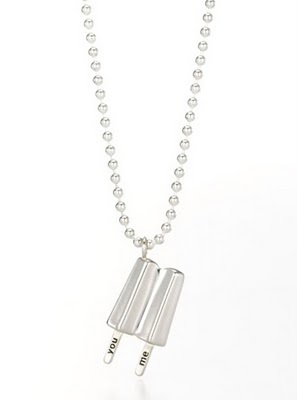 And what a steal: this necklace is only $15. Act quickly though: while similar styles may pop up, this one is one of a kind! Available online at kieutiepie.etsy! Looking for something handcrafted, luminous and ever so slightly cheeky all at once? Check out Rockerjewelz, a Bay Area-based company (check out the sweet story of how the designer got started on her site, listed below!). The pieces are made from glass beads that catch light oh-so-prettily; earrings, pendants and bracelets are available in "flavors" like Lemon Tart, Key Lime, and Cherry on top (our favorite, because they reminds us of the cupcakes at another Bay Area treasure, Miette Patisserie!). Prices vary depending on intricacy; available online at rockerjewlz.etsy.com; see more at her blog or at rockerjewlz.com! 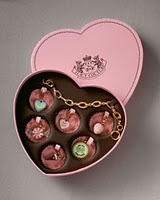 Finally, we know that you've heard of them and perhaps even seen their cute cupcake charms, but our attentions are currently focused the new candy designs by Juicy Couture--not only are the charms themselves adorable, with a Marie-Antoinette worthy color palette and cute candy and cakey shapes, but they're expertly packaged in a chocolate-type box. What's not to love? 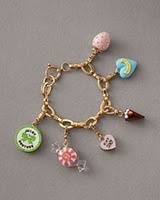 The Sweet Shoppe charm bracelet is $128 and available online at juicycouture.com. Did we miss your favorite objects of sweet adornment? Let us know!